Iran, July 31, 2018 – Tuesday has been the scene of numerous protests and demonstrations in cities across Iran. Protests continue in various cities. In Karaj, the people are chanting, “while the dictator stands, the uprising continues” and they are confronting the suppressive security forces the regime has dispatched to disperse the protests. Chants also include “beware the day we pick up arms.” Clashes between security forces and protesters continue in different parts of the city. According to local reports, the protesters have set trash bins ablaze and are throwing rocks at security forces. Mrs. Maryam Rajavi, the president-elect of the National Council of Resistance of Iran, hailed the protesters and called on all Iranians to join the protests. She also said that the slogans of the protesters show that they reject the regime in its entirety. Updated, 1100 oclock - As night settles in Iran, protests that began this afternoon continue in different cities of Iran. In Karaj, protesters have been clashing with security forces and chanting anti-regime slogans. Videos obtained from the protests show protesters are not afraid of the regime’s repressive forces and are confronting them despite heavy security presence. Update: 9:00 PM local time: In Shiraz, security forces have started targeting protesters with tear gas. According to local reports, security forces have injured a young boy who had attended the protest along with his mother. The protests that began in different Iranian cities this afternoon have reached Rasht, Mazandaran province. The people of Rasht are chanting, “Death to high prices. Don’t be afraid. We’re together.” While the protests were triggered by economic grievances, the protesters of Rasht quickly turned their rage toward the Iranian regime in its entirety. Following reports of large protests in the central city of Isfahan, Rasht, Ahvaz, Zanjan, Tabriz and a number of other cities, now there are reports of protests and clashes in the city of Karaj, northwest of Tehran. Residents of Gohardasht in Karaj, especially women challenged security forces and protested against skyrocketing high cost of living and the spiraling economic crisis. The Iranian regime’s security forces tried to control the situation in Karaj by attacking the protesters, but the people confronted them. Since nationwide protests erupted across Iran in December, demonstrations have continued in different cities and quickly turn into anti-government protests. The people of Karaj also call on their fellow countrymen to rise in their support and encouraged the merchants of the bazaar for supporting protesters. Following Karaj, protests erupted in Shiraz, with demonstrators pouring into the streets and chanting slogans against the regime for increasing unemployment rates and the down-spiral in the country’s economy. 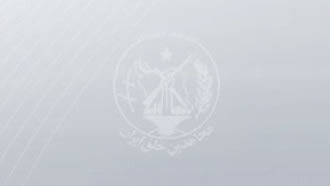 The PMOI/MEK seeks to replace Iran’s religious dictatorship with a secular, pluralistic, democratic government that respects individual freedoms and gender equality.